Symbolic of life, hair bolts from our head(s). Like the earth, it can be harvested, but it will rise again. We can change its color and texture when the mood strikes us, but in time it will return to its original form, just as Nature will in time turn our precisely laid-out cities into a weed-way. I love mom’s hair. 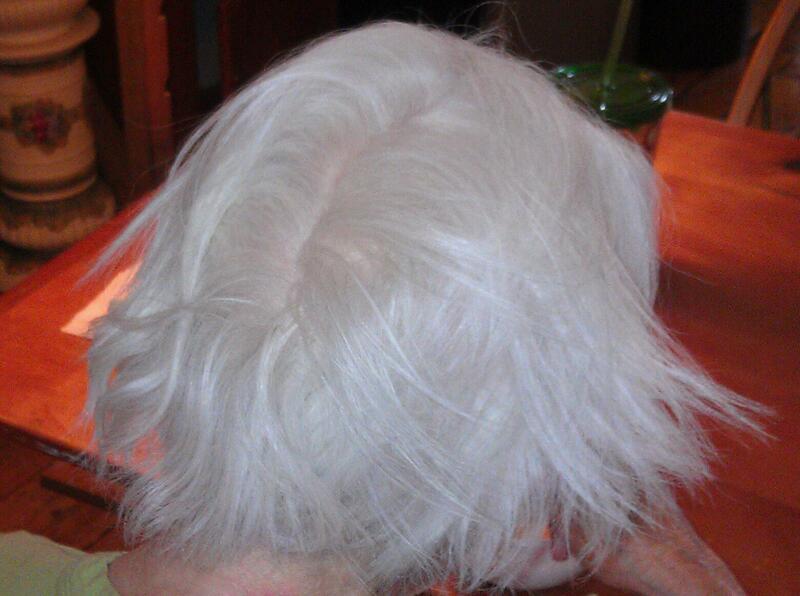 It is as white as white can be and in the morning, before I brush it, it goes every which way and then some! Brushing it generates enough static electricity that it mimics a high voltage lightning display … like zillions of zip zapping lightning bolts electrifying the entire universe with their dance. You can hear the snaps, crackles and pops. You can feel its powerful, mystical forces as you tame the tangles, like weeds in an unattended garden. 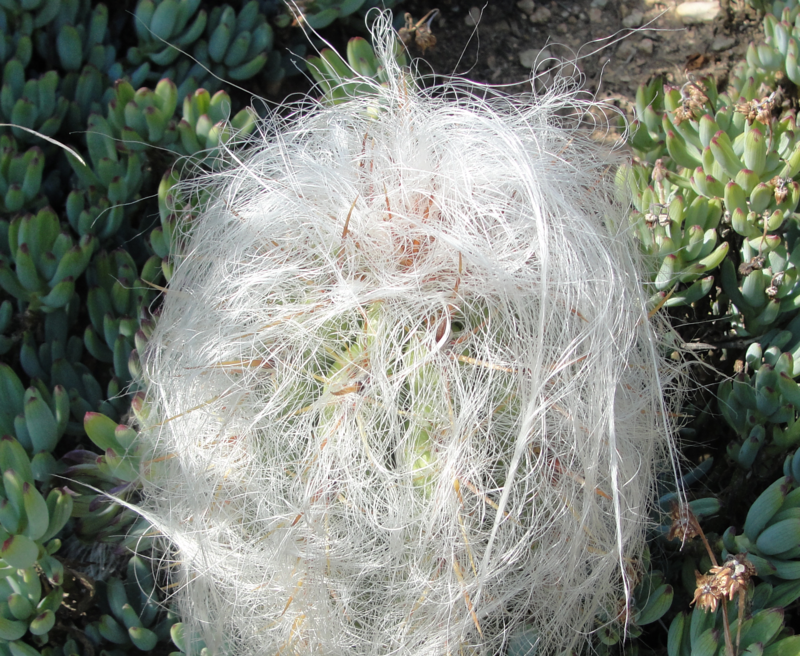 So, when I saw this little spitting image of the back of mom’s head at Strange’s Garden Center in Richmond, I had to take a closer look to see what it was, and low and behold, it was a Hairy Cactus, aka Cousin It. I immediately gave it a new name … Hairy Mom. I impulsively bought one for each of my daughters so that they could have a living, breathing (yes plants breathe … just not like we do) replica of their grandmother to take back to their homes in Wilmington, NC. It was an afterthought, but I wish I had bought them both a miniature brushes to go with their miniature gramas. I wanted my daughters to start everyday experiencing the supernatural forces at work when they brushed the hair bolts, transforming them into lightning bolts with every stroke … knowing that their grama was, is and always will be a force of Nature … a force to be reckoned with. Posted in family, humor, life, love, personal and tagged cactjr\\\, cactus, caregiver, caregiving, dementia, elderly parent, hairy cactus, My 91 Year Old Mom. Bookmark the permalink.